65 pages. Illustrated in color throughout. Hardcover. Published on the occasion of the exhibition Günther Förg: Lead Paintings, this catalogue includes full plate images and details of 9 of the artist’s signature paintings on lead, dating from 1986 – 1990. To create these paintings, Förg wrapped lead sheets over wood, then painted each surface with acrylic. The nature of the lead was of particular interest to the artist: “I like very much the qualities of lead – the surface, the heaviness… I like to react on things, with the normal canvas you often have to kill the ground, give it something to react against. 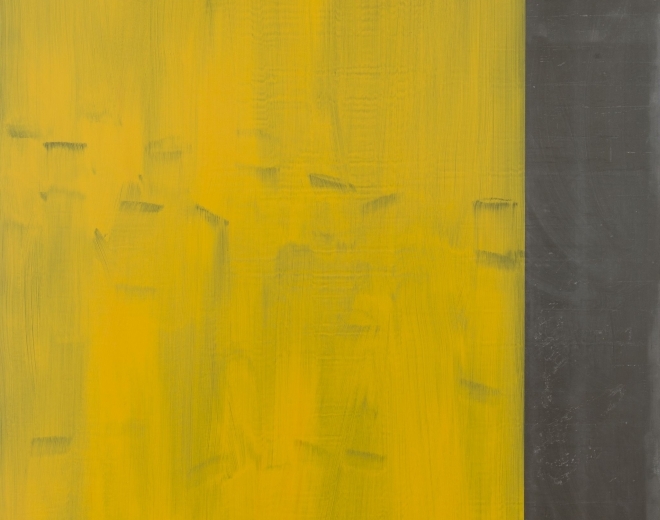 With the metals you already have something - its scratches, scrapes.” In these large-scale yet minimal works, Förg produced a visual homage to color field painting, referencing Mark Rothko and Barnett Newman, while allowing the material to become his vehicle for expression.